Hate crimes targeting mosques in the U.K. have doubled in the past year, results of an investigation indicated on Monday. Data from British police forces across the country by the U.K.’s Press Association said police forces recorded 110 hate crimes directed at mosques between March and July this year, up from just 47 over the same period in 2016. According to the figures, the northern English city of Manchester has seen one of the biggest year-on-year increases in mosque attacks with nine incidents from a previous number of zero. London mosques were targeted in the same period 17 times while the number of attacks was eight before, another sharp rise. Threats, harassment and examples of other intimidating behaviors more than tripled, from 14 crimes in 2016 to 49 in 2017, according to the same data. The other hate crimes included racist abuse, threats to bomb the mosques, incidents of smashed windows and parked cars, as well as offensive graffiti, violent assaults on worshippers, arson and leaving pork products at Muslim places of worship, according to the information. Fiyaz Mughal, founder of Tell MAMA, an organization documenting anti-Muslim incidents in the U.K., said the increase in attacks on mosques was part of a rising tide of online hate which had spilled out on to the streets. He said: "Political events have supercharged the sense of confidence in sections of our population which probably held those [extremist] views and didn't voice them before, but felt confident in voicing them over the last few years." "What's happening in terms of the targeting of mosques also corresponds with what is taking place on a street level against visible Muslims," he added. "What is happening in mosques is basically a reflection of wider society," he also said. In one of the worst incidents targeting Muslims this year, Makram Ali, 51, died in the Finsbury Park Muslim Welfare Centre attack in June when a car mowed down worshippers who were leaving Ramadan prayers. Darren Osborne, 47, is alleged to have driven the van into worshippers outside the Islamic center in north London. Prime Minister Theresa May described the attack as “sickening” and “insidious and destructive to our values and our way of life”. 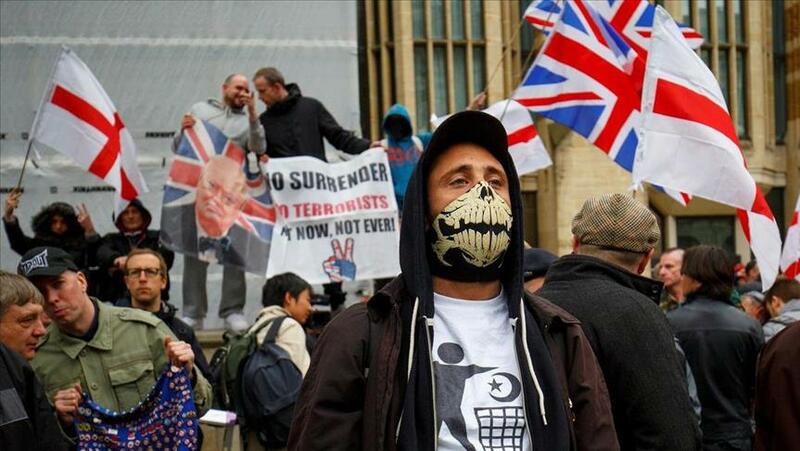 Islamophobic incidents in the U.K. have seen a spike since deadly terror attacks in Manchester and London, according to security officials.